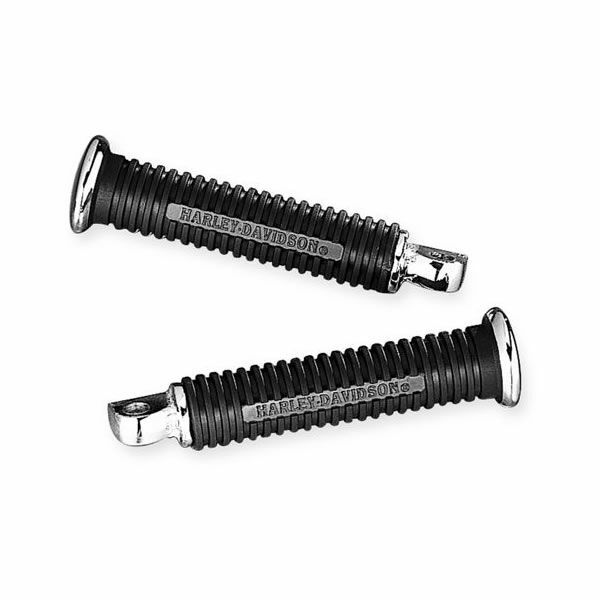 This footpeg grouping is chrome-plated and features a zinc die-cast body with steel shaft. The black rubber pads have Harley-Davidson® graphics molded-in for rich detail. 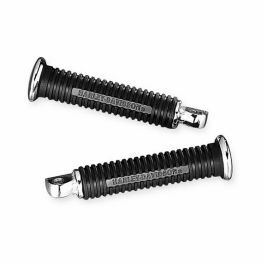 49500-92T fits models with H-D® male mount-style footpeg supports (except the rider position on ’08-later FXCW, FXCWC, FXS, FXSB, FXSBSE, ’07-later XL883N, XL1200N, XL1200T, XL1200V, XL1200X, ’07-’10 XL883L, ’11-later XL1200C and ’08-'13 XR models).